To begin with, personally, I was a bit astonished the first time I saw that Anker had entered the gaming mouse industry, as they seem to be more of a peripheral company. However, I was hurriedly surprised that Anker really had developed an excellent mouse. 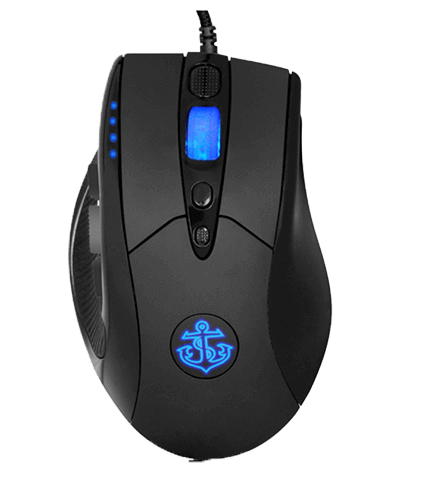 The Anker 8200 DPI High-Precision laser cheap gaming mouse feels like an extension. When you are sitting there and playing games for hours on your computer, nothing is more important than a relaxed and correct control of your mouse. But now it’s possible to increase your gaming play with the 8200 DPI High-Precision Laser budget gaming mouse from Anker. Every click in the gameplay could mean the difference between victory and defeat. With Anker 8200 DPI High-Precision laser gaming mouse you are closer to a victory. This cheap laser gaming mouse really makes it possible to give your hand the comfort it deserves while the underside allows you to glide over flat surfaces with ease. Through Anker’s easy-to-use control panel, it’s possible for you to configure your mouse to your preferences. Assign functions to 9 different buttons so that you can operate more efficiently during gameplay. The DPI is more than necessary for any gaming circumstances. 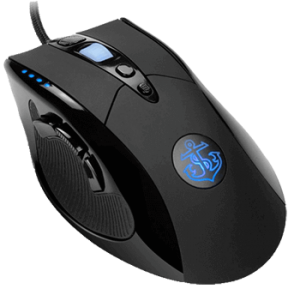 I would not recommend this mouse for people who are looking for a super smooth mouse for a game like CS: GO because of the side buttons that are easy to press by mistake, which can be very annoying. But it’s always possible to turn off these buttons control panel.